Can You Grow Apples From Seeds? In short, yes, you can grow apples from seed, but it's not as simple as you may imagine. The more important question is whether you would want to grow apples from seeds. Why Not Grow Apples From Seed? Apples do not reproduce true to type, meaning that the tree from the seed will produce apples that are almost certain to be different than the parent. You can have fun and experiment, but don't expect to have the same fruit. 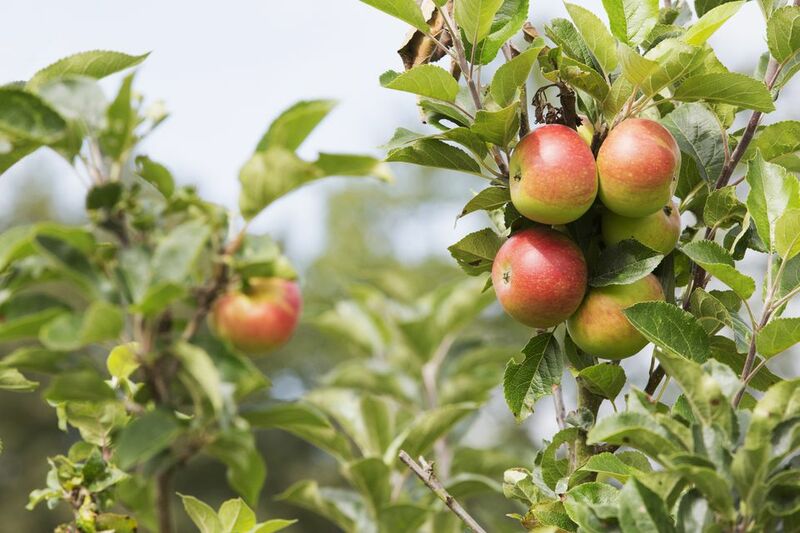 As Organic Gardening magazine advises, "Most apple varieties are self-unfruitful, which means their blossoms must be fertilized with the pollen of a separate variety in order to achieve good fruit set." The fruit produced will be the same as the parent tree, but the seeds will be a cross between the two varieties. There are a few varieties that can be self-pollinated, so it could be possible to get true-to-type from those kinds. Also, almost all varieties are unable to pollinate themselves. They rely on insects like bees to transfer pollen. Unless you pollinate the tree yourself by hand, there is no way to know who the other parent variety is. What Are Some Problems That Could Occur? There's a very good chance the apples won't even be edible. Many apple trees are pollinated by crabapples, which are usually small and inedible or, well, just not very tasty. The chances of getting a truly delicious apple are very small. Seeds from your dwarf apple tree will often produce full-sized trees. Many of these dwarf trees sold are created by grafting the variety onto a dwarfing rootstock. The variety itself may have the full-size genes, so that is what will come out when crossed. Also, apple trees from seed take longer to produce fruit. It usually takes about 7 to 10 years before you can even tell if you are lucky and have good fruit. Where Do New Varieties Come From? Many new varieties are genetic mutations that have occurred on established trees. They are tested in trials for factors like taste, disease resistance, and hardiness. If they are desirable, they are grafted onto rootstock. Some organizations like the North American Fruit Explorers work on breeding and finding new varieties. Once in a while, lucky finds are accidentally discovered among trees grown from seeds. How Do You Get New Trees, Then? New trees of a variety are propagated through grafting. They make a special cut on a rootstock tree. Then a branch or bud from the desired variety is placed into the cut. The tree will grow up to produce fruit from the grafted variety. How Do You Germinate Apple Seeds? It can still be a fun experiment if you are patient. They need to be exposed to cold first, called stratification. You will need to place many seeds (they only have a 30% germination rate) in a bag with damp moss. Place in the refrigerator for about 6 weeks, then plant in a pot. You will later need to prune and train it to be a proper apple tree.